I get really upset when I see lost SEO opportunity from a web site structural standpoint - it bothers me. It doesn't mean all the sites I build, even this one, are 100% perfect, but it bothers me to see issues. One area I believe I see issues in way too often is how sites deal with mobile URLs and content. I have been a strong believer on the one URL, no matter what, policy. I wrote about it in my SEO & print URLs article and I wrote about it in my mobile Sitemaps article. I am upset when I see an article I read on my mobile change from www.domain.com/article.html to m.domain.com/article.html. It bothers me for one huge reason... I know I am going to end up sharing that URL with the m.domain.com and not the main www.domain.com and for that site, it means missed link control and opportunity. I sometimes do not understand why they simply couldn't of used the same technology to redirect a mobile device to simply serve up a different style sheet for that mobile device and leave the URL as is. It bothers me, a pet peeve, if you will. Now I know sometimes you do not have a choice either through the CMS or budget reasons. But when I saw Matt Cutts post a video that really guided people into using different URLs, I became sad. Really - I was sad. So I posted a thread at Google Webmaster Help asking them to clarify why Matt would recommend using different URLs. There were other concerns, but my main concern was the URL thing. My answers have been given today. 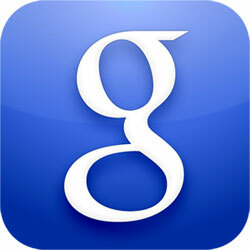 Google differentiates between traditional mobile phones and smartphones. Google has two bots: Googlebot and Googlebot-Mobile. Googlebot crawls desktop-browser type of webpages and content embedded in them and Googlebot-Mobile crawls mobile content. Google said they "expect smartphones to handle desktop experience content so there is no real need for mobile-specific effort from webmasters. It does not mean you can't serve a special style sheet to smartphones, Google said, "the decision to do so should be based on how you can best serve your users." URL structure: For Googlebot and Googlebot-Mobile, it does not matter what the URL structure is as long as it returns exactly what a user sees too. Using the same URL "is not considered cloaking by Google." Mobile sitemaps: you should include only mobile content URLs in Mobile Sitemaps, even if these URLs also return non-mobile content when accessed by a non-mobile User-agent. Based on this information, I really think you should be very conscious about the URL you serve to mobile users. If you can, I'd always serve the same URL a desktop version would get, assuming the page and content is the same, but the only difference is the format and user interface. Update: On June 6, 2011 we wrote a new post named Google: Use Single URL Without Redirect For Serving Smart Phone Content. Take a look.